Attics may seem like extra storage space without much function, but a renovation project can convert the area into a beautiful bedroom. This sort of project can also add substantial value to a house and it's an easy way to expand a house without actually putting an addition onto it. 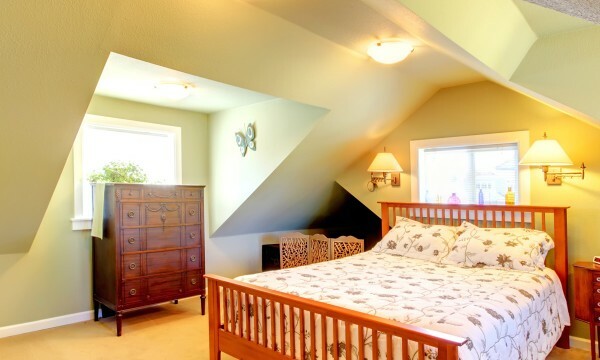 Below are some ideas and points to consider when renovating your attic space. 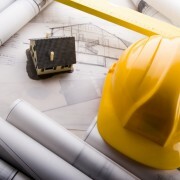 Early on, you'll want to look at the size of the space and decide if the project is worth it. Be sure to check with provincial and municipal building codes as there may be guidelines about how small rooms in a residence can be, including floor footage and ceiling height. 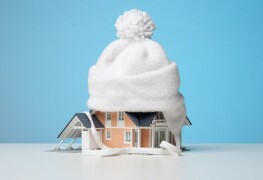 You should also ensure that your attic's temperature is sufficiently regulated to meet with codes. Fortunately, this is rarely a concern in well-insulated attics. If your attic is too small, hot or cold, you may need to find some other use for the space. Possible alternate projects include a study, a playroom or an entertainment room. 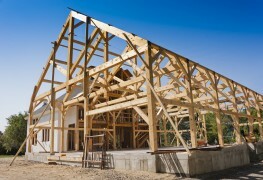 One of the first things you'll need to do when converting an attic space is to reinforce the joists. Joists are the cross-supports in a floor that keep it from collapsing, so making these sturdier will make the room safer as a living space. You'll also need to ensure that rafters and walls can support lighting, electrical wiring, HVAC and piping if you plan to add a bathroom. 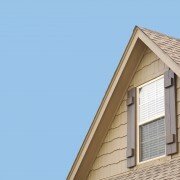 An attic's slanted ceilings can be difficult to work around. Remember to take into account that some of an attic's space may not be easy to walk through. If a ceiling is so low that it's jeopardizing the project, one way of lifting it is by stretching the space upward using a dormer. Dormers project outward from the roof and typically contain window space. Keep in mind that a poorly-placed dormer can make the house's exterior less visually appealing, so consult with an architect before making a final decision. If the area looks cramped despite offering enough space for the project, skylights can create the illusion of more height while letting in natural light. Most attics have ladders or pull-down stairs, so it's important to add a permanent stairwell to a living space. 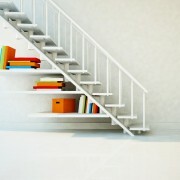 As you're planning out the new space, be sure to account for where the stairwell will lead. A stairwell that leads directly into a bedroom can be unsightly at best and dangerous at worst. Consider blocking off the stairwell with a low wall or a railing. In addition to adding livable bedroom space, homeowners may want to consider adding a bathroom to the space if it's large enough. Other suggestions include built-in shelves or drawers. A conversion project like this one can be intimidating, but it allows homeowners to use their creativity and create the space they've always wanted.